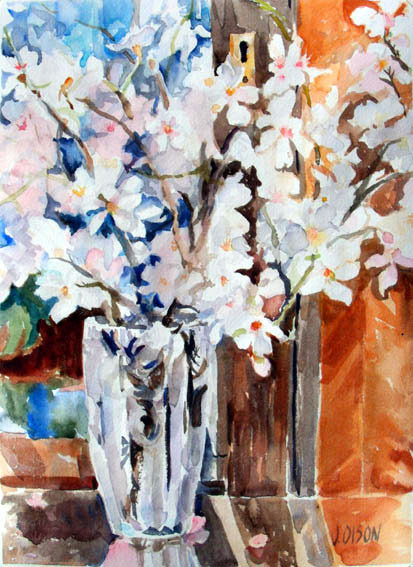 White Almond Blossoms in Watercolor. Here in Madrid, Spain the almond trees are in full bloom in the first week of March. The flowers have white delicate petals with a touch of crimson in the middle. These blossoms are fleeting; I don’t catch them every year. Sometimes it’s windy and they blow away and decorate the ground before I can paint them. 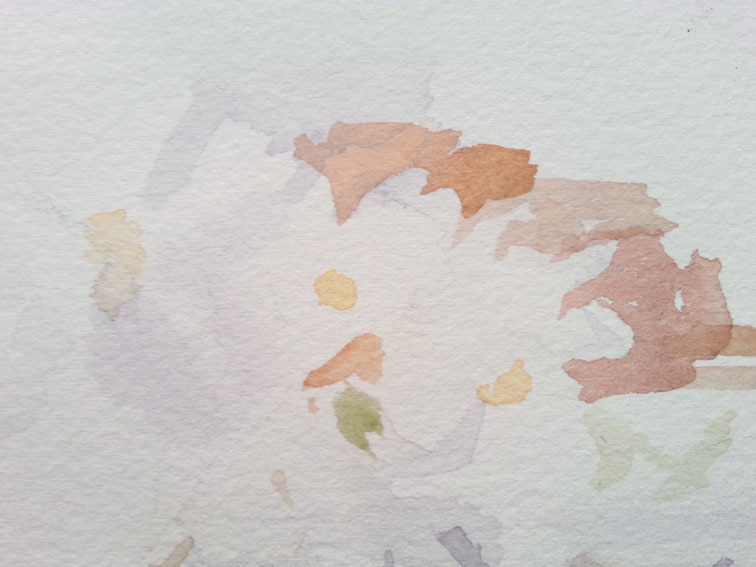 How do you paint white flowers in watercolor? You paint the space around them to give them shape by respecting the white. Start the painting lightly. 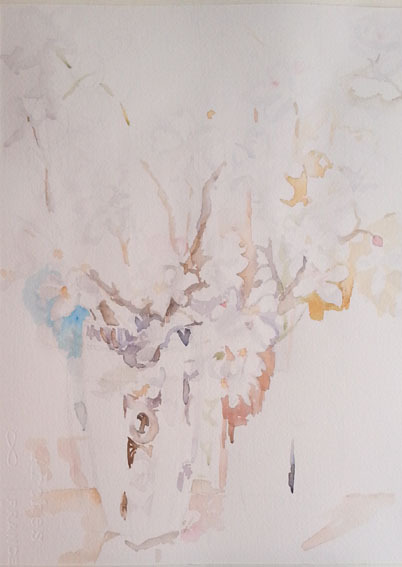 Since the flowers are white, they are formed with the white of the paper, so just paint the background with a light color until you start building up contrast and color. Here’s a close-up. You don’t need to pencil in all of the flowers, just fill in the negative shape. Continue working around the paper, trying not to concentrate too much in any one area. Treat everything with equal attention for harmony. 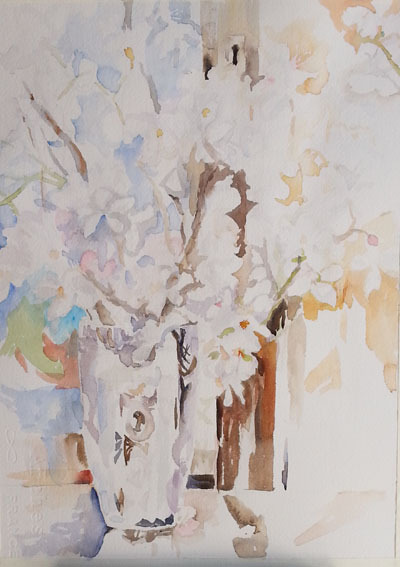 This entry was posted in Fine Art, watercolor and tagged watercolor tips, White Flowers. Bookmark the permalink.